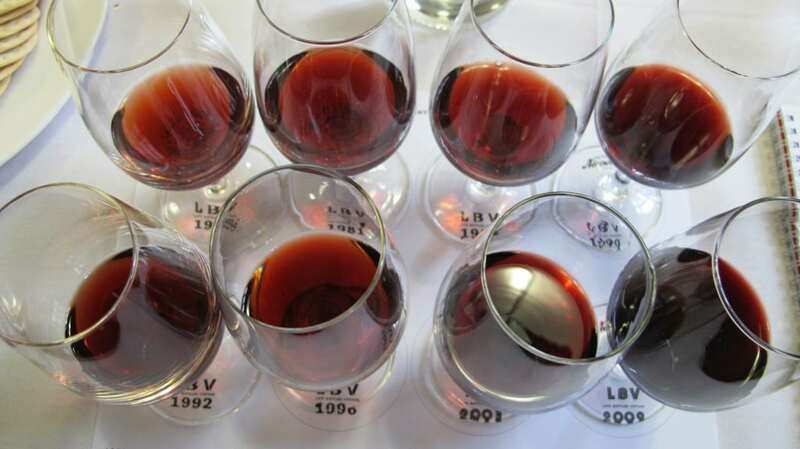 Vintage Port (whether classic or Late Bottle Vintage) is all about the vintage right? Okay, the vintage and the house style, right? Maybe not. 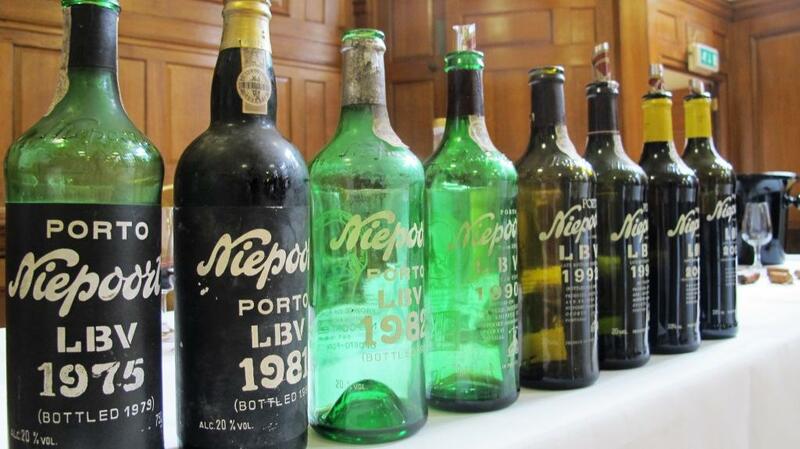 Or so a vertical of Niepoort Late Bottle Vintage Ports (“LBV”), the oldest from 1975, suggested. You can always rely on Dirk Niepoort to torpedo anything close to a generalisation and, with his son Daniel in the audience (and his own father’s wines before us), the tasting provided some salutary lessons about the influence of the maker on Port. 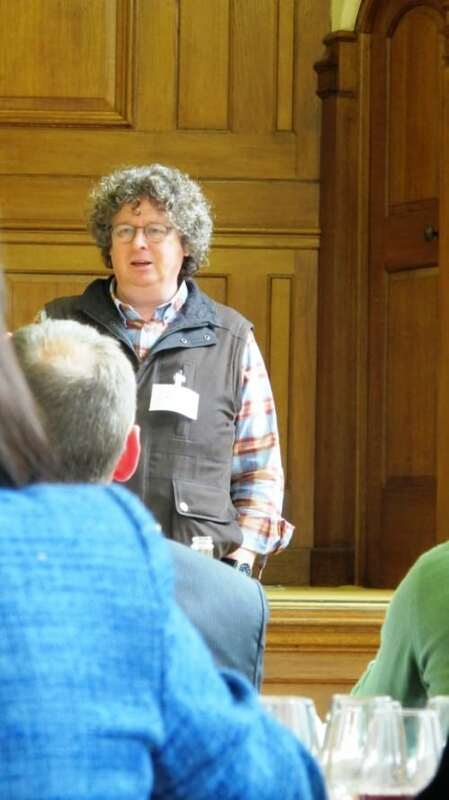 The paternal hand of history was firmly on the shoulder at a tasting at which I sometimes felt like a fly on the wall at a father-and-son life lessons’ session. 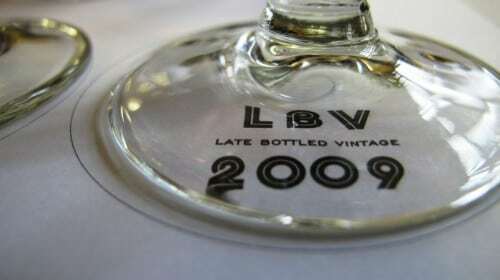 Where he said “in many cases LBVs are better rubies” at Niepoort it’s a different matter “it [LBV] wants to be the little brother of [classic] Vintage Port, to be serious – something nice to drink young, but which will improve dramatically with young.” What this means in practice (aside from fruit quality of course) is that, under Dirk Niepoort’s watch, Niepoort bottles LBVs after four years ageing and in a single job lot. And, it might be said, he himself remains on the continuum of this shift where, slightly contradicting his earlier comment about the biggest difference in quality being in the making not the vineyards, he then asserts “the ultimate step to be a good blender is you must be a terroirist – blending is not 1 + 1 = 2; 1+2 =10 in my world. Or if it’s not good, it can be minus 1.” As a result of his efforts to understand where the good vineyards are, Niepoort now has 62 hectares of vineyard, the fruits of which are more or less equally split between Port and Douro wine. Niepoort reckons 1975 might just be the best vintage of the 1970s however, he observes, back then “the wines seemed thin with no colour….But time turns things around” and, making a point he has raised in the context of Bairrada wines (about which more in my Bairrada Baga-focused The World of Fine Wine feature) “are colour and tannin as important as we think?” It’s a pet theme of Niepoort’s related to drinkability, a quality on which he himself has placed greater and greater emphasis over time vis-a-vis both his Ports and wines. 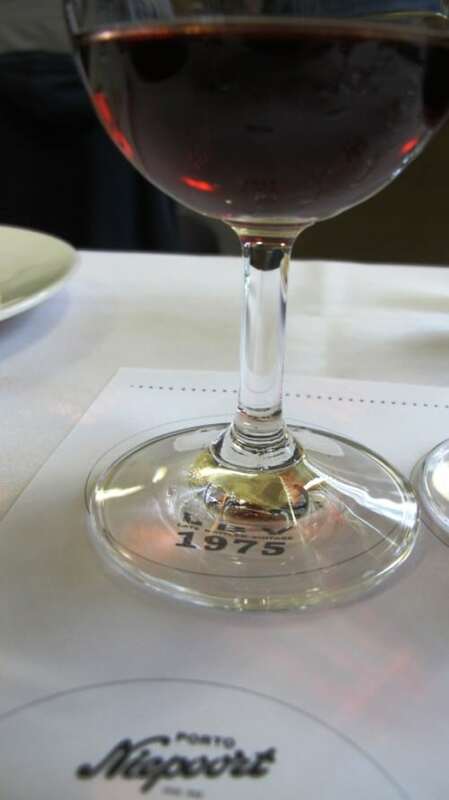 The pale garnet, brick ’75 still reveals hints of plum jam and red cherry conserve with spicy liquorice, eucalypt and underbrush (having attended David Guimaraens’ excellent Port varietal seminar recently – see my post of 23 May – perhaps this is a mature Tinta Amarela note?) 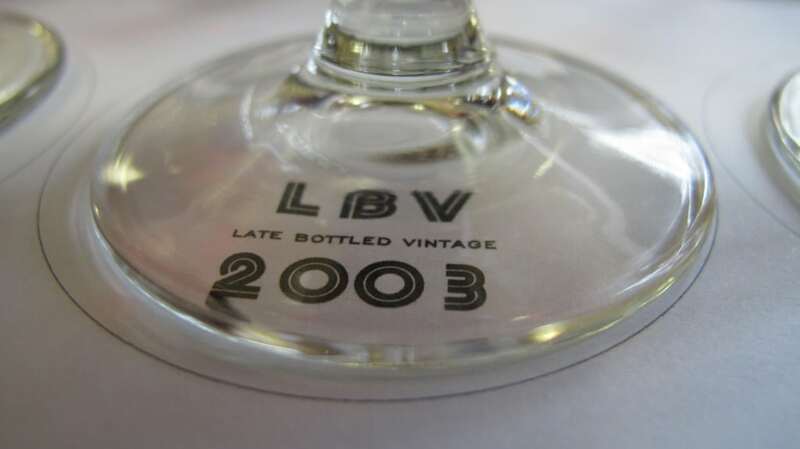 Referring to the medicinal note (my liquourice, eucalyptus and underbrush) Niepoort explains that “this is a bottle age factor that I like to call bottle sickness – it’s not a negative, though some people don’t like it. 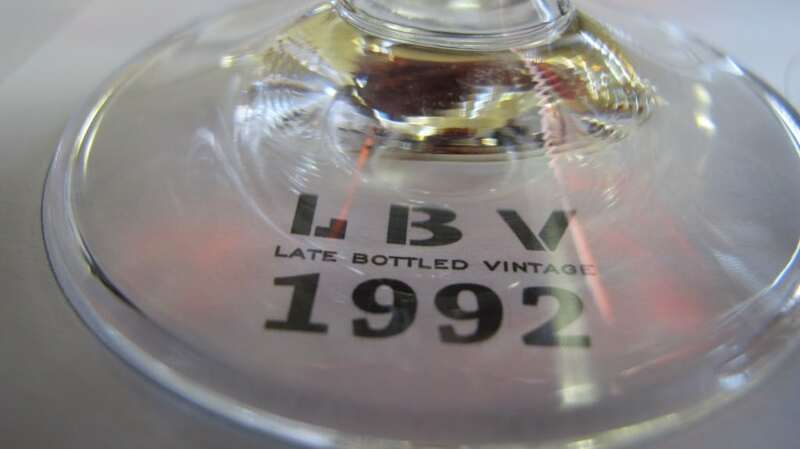 It comes from hiding the wines in bottle and, if it’s not a monster, you get this character.” As it opens up, its gently elegant fruit gains rather than loses intensity, catching up with the spirit which was a little elbowy at the off. Finishes long, mineral, firm and clean. Ever so drinkable; lovely intensity for its age. At the outset of the tasting Niepoort described this wine (which was made by his father, Rolf) as “the best we ever made,” a statement which he duly qualified with the observation “there are moments when the better wine is not the best wine to drink…we cannot buy the best because it’s the best” – now there’s a call to appreciate the light and shade of vintage and one with which I couldn’t agree more. Okay, onward – the Port! Gosh this has gumption, which is well sign-posted by its significantly deeper, darker hue and vigour in the mouth. It’s round, warm and spicy with lashings of sweet plum jam, plum pudding, liquorice and gim cistus, the whole well supported by ripe powerful tannins. Plenty of stuffing makes it a little four square compared with the ’75 but that’s hardly a complaint – drink the ’75 now and then move on to this one. Robust with reverberating fruit, spice and warmth it’s a good friend for a cold night. What a difference a year makes. A great year for Bordeaux but the fruit of this faster maturing LBV (or at least this bottle) goes missing in action. Lacking animation and palate presence its dried fruit, menthol and liquorice palate simply run out of steam on a relatively dilute finish. Around this time the shipper made the decision to itself start making the Ports (and wine). 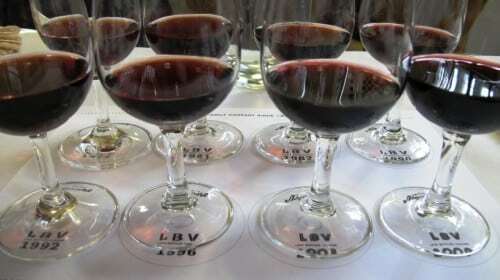 Says Niepoort, the LBVs became more serious – “darker, more extracted,” plus they were aged in bigger wood and aged more reductively to keep the fruit and colour. Early days then and, as he freely admits, having only joined the family business in 1987 after working vintage at Cuvaison winery in Napa Valley, California, “I had become obsessed with making one barrel better than anything from our growers.” While he says “by 1994 everything we made ourselves was better than the growers’ Ports,” the bigger is better school of thinking shines through in the ’90’s bold but Bovril-edged pruney palate, four-square tannins and spirity finish. Of this wine, one of my picks of the flight, Niepoort observes “I corrected my logic of being smart.” Much less extracted and effortful, it’s really on song now with good vigour and salt lick and iodine complexity to its spicily animated, fleshy sweet plum and dried fig fruit. Layered, long, robust yet precise with (attractively) pungent liquorice and delicious peppery lift from tip to (big) toe. A firm backbone of tannins lurks beneath quite a mature plum and almond cake flavoured palate with spicy liquorice. Solid – not as talkative or charming as the ‘92. Give it time? For Niepoort this (very warm, dry) vintage marks the high point of extracted, big, tannic wines and there’s plenty to chew on here in this well structured, vigorous LBV. Having de-selected “every over-ripe grape” it retains admirable freshness and vibrancy to its ripe parma violet scented cassis and sweet swathe of red (strawberry, raspberry and plum) fruit. Spicy liquorice and firm tannins make for a long, balanced finish. Very good indeed; youthful. 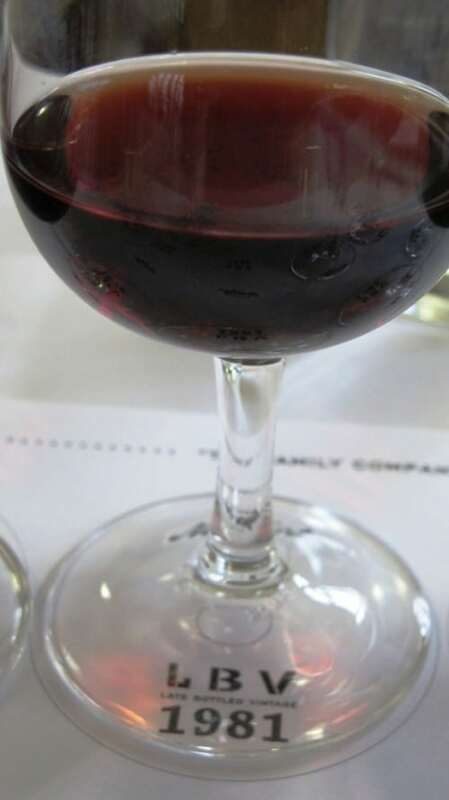 Although according to Niepoort, analytically speaking, their Ports are high in sugar (residual and alcohol), they taste drier because the house style is focused on balance and harmony. The 2009 is a case in point. From another belter of a year this vigorous, inky wine has a firm underpinning of tannin to its boldly concentrated but tight knit gum cistus-edged cassis and kirsch fruit. A persistent finish has the lip-smacking salt-lick minerality which I love to find in the Douro and, with its fresh acidity, underlines the serious intent behind this wine. Terrific with great ageing potential.